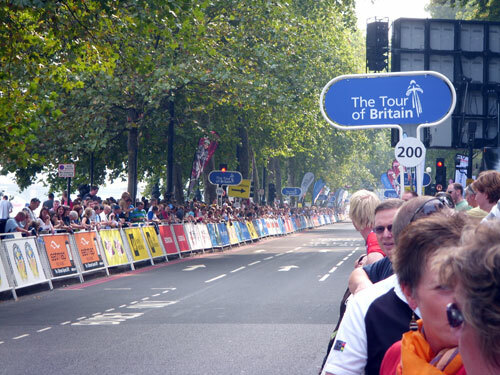 Team Columbia-HTC sealed overall victory at the Tour of Britain on Saturday when the race ended in the centre of London. It was the team’s 82nd win of the 2009 season. Race leader Edvald Boasson Hagen finished safely in the peloton at the end of the final 92km stage. The Norwegian won overall by 23 seconds after taking four of the eight stages. Australia’s Chris Sutton (Garmin-Slipstream) finished second and Germany’s Martin Reimer (Cervelo) was third. Italy’s Michele Merlo (Barloworld) won the final stage in a sprint. “It’s really good to win this race after all the hard work by the team. I’m really happy for me and for them,” Boasson Hagen said. Team Columbia-HTC sent a powerful squad to the Tour of Britain that included Thomas Lovkvist, Tony Martin, Kim Kirchen, Gert Dockx and Maxime Monfort. They sacrificed their chances to help Boasson Hagen win. “It’s been a great race for us with the stage victories and overall success,” directeur sportif Valerio Piva said. The Team Columbia-HTC riders will now focus on this week’s world championships in Mendrisio, Switzerland (September 23-27). Boasson Hagen will compete for Norway in both the men’s time trial on Thursday (September 24) and the men’s road race on Sunday (September 27). 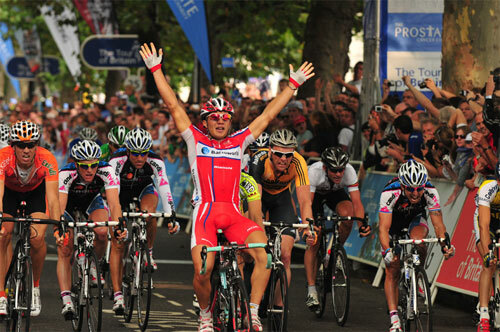 Britain’s top finisher was Russell Downing (CandiTV-Marshalls Pasta) in fifth overall. Downing and Boasson Hagen will be team-mates on the new Sky squad in 2010. 10. Danilo Napolitano (Ita) Katusha all same time.